MACKINAW CITY, Mich. - Recent damage to underwater oil and electrical lines in the waterway connecting Lake Huron and Lake Michigan that’s blamed for an insulation fluid spill was caused by a tugboat dragging its anchor, Michigan’s attorney general announced Tuesday. Attorney General Bill Schuette said he notified Vanenkevort Tug and Barge that he’s planning civil action against the company because of the damage believed to have been caused April 1 by the tug named Clyde S. Vanenkevort in the Straits of Mackinac. “The vessel ignored markers in the channel and clearly identified hazards on navigational charts that make clear that an anchor should not be deployed in this area of Straits,” Schuette said in a statement. The Associated Press sent an email seeking comment from Vanenkevort Tug and Barge, based in Escanaba, Michigan. Two electric cables leaked 600 gallons (2,270 liters) of insulation fluid containing mineral oil and benzene. Enbridge Inc.’s twin Line 5 pipelines carry crude oil and liquefied natural gas. The company has said the pipelines were dented but that the integrity of the lines weren’t compromised. Under Michigan law, causing such a leak is punishable by a civil fine of up to $25,000 per day of the discharge, as well as damages for harm to natural resources, attorney’s fees and court costs, Schuette said. He said those responsible for the anchor deployment or maintenance also could face criminal charges or other legal liability. An anchor strike had been suspected in the damage, but officials hadn’t previously released details, including of who might be responsible. Enbridge announced Monday afternoon it has restarted its Line 5, which was shut down over the weekend. The company blamed a power outage. Sens. 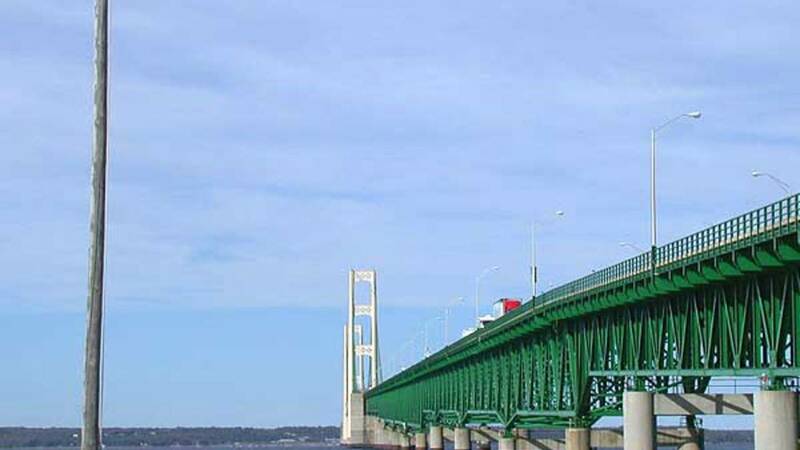 Gary Peters and Debbie Stabenow of Michigan had pushed for a temporary shutdown because of high winds and heavy currents in the Straits of Mackinac. Line 5 carries 23 million gallons (87 million liters) of oil daily between Superior, Wisconsin, and Sarnia, Ontario. The segment that crosses the 5-mile-wide (8-kilometer-wide) straits linking Lake Huron and Lake Michigan is divided into two side-by-side pipes that were laid on the lake bottom in 1953. The ruined power cables are owned by American Transmission Company. The Coast Guard and other agencies have been monitoring the straits by boat and air but have reported no sheen or other evidence of pollution. Plans call for using an underwater vehicle to check the damaged cables and pipelines.